There are many different causes of hip pain, including joint pain and lower back problems such as herniated discs and spinal stenosis. 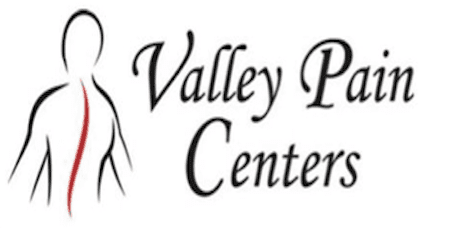 The board certified physicians at Valley Pain Centers use cutting-edge techniques to first determine the cause of hip pain and then administer the most appropriate treatment. The hips are large, weight-bearing socket joints that are subjected to considerable strain and stress throughout the day. Some types of hip pain are related to wear and tear in the joint, including pain from arthritis. Repetitive and overuse injuries can also cause hip pain, increasing the risk of arthritis as well as soft tissue injuries like muscle strains or ligament or tendon injuries. Additionally, a lot of hip pain is caused by spine issues in the lower back. That's because the nerves that provide sensations in the hips and buttocks leave the spine in the lower back, and if they become impinged or compressed, they can cause pain, aching and tingling in the hip. How is the cause of hip pain diagnosed? Diagnosis of hip pain begins with a physical examination of the joint including passive and active exercises to determine which movements cause symptoms. The spine will also be evaluated, and diagnostic imaging such as an X-ray or MRI may also be performed. When pain is stemming from a problem within the joint, a minimally-invasive procedure called arthroscopy can be performed to see inside the joint using a very tiny camera. Treatment will depend on the cause of painful symptoms. Many types of hip pain can be relieved with injections of corticosteroids and pain medications directly into the joint space to relieve inflammation and help patients regain pain-free mobility. These injections can be used in conjunction with physical therapy to help restore normal function. When pain is caused by a disc-related issue in the spine, sacroiliac joint injections can be used to relieve pain and inflammation in the lower back, and decompression therapy may also help by coaxing slipped discs back into their proper positions. Some types of hip pain may be prevented by improving posture, losing excess weight, being more physically active, wearing shoes that fit properly, and improving ergonomics at work and at home. And of course, it's essential to have hip pain evaluated in its earliest stages to prevent it from becoming worse.